College-baseball careers do not typically come to an end in the summer. Players competing in associations such as the West Coast League are meant to sharpen their skills with a summer-ball team, then return to their university a better player. For Hunter Boyd, this summer was the end of his playing career. Boyd, a right-handed pitcher from nearby Moses Lake, is finished playing baseball and will instead pursue a career in law enforcement. Boyd would have been entering his senior year at the College of Idaho, but has opted to go a different route. It’s not the atypical route for a college athlete, rather, it’s the route Boyd has chosen. That he chose to spend one last summer competing speaks to both his love of the game and his love of the Wenatchee AppleSox. After graduating from Moses Lake High School in 2015, Boyd went to Yakima Valley College and experienced early success with his collegiate career. The Yaks won the 2016 NWAC Championship and Boyd went 4-5 with a 3.05 ERA as a freshman. The next season, Boyd and the Yaks finished runner-up at the NWAC Championship. Boyd punched out 77 batters, 31 more than the previous season. He also tossed seven quality starts, two of which were complete-game shutouts. Boyd left Yakima Valley to play for the College of Idaho in 2018. Though he put up strong numbers, Boyd did not find the same passion for baseball that he had previously. 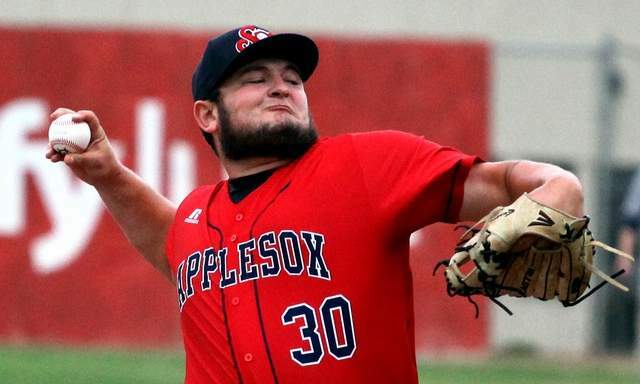 Boyd’s enthusiasm for pitching had been high after spending the 2017 summer with the AppleSox. He said he enjoyed continuing to play for head coach Kyle Krustangel, who was also his head coach with the Yaks. Between juggling classes and baseball, Boyd realized as a junior that baseball was not in the cards for his future. He knew that the spring semester in 2018 would be his last in the classroom. However, it wouldn’t be the end on the mound. Instead of getting out of baseball as fast as he could Boyd wanted to return to a place that he loved to pitch at. That made returning to the AppleSox an easy decision. Boyd threw five quality starts this summer, including one of two complete games thrown in the West Coast League. In that effort against Portland on July 18, Boyd took a shutout into the ninth inning and matched his season-high with eight strikeouts. Now that his baseball career is over, Boyd is looking to the future. He’s focusing on his law enforcement career right now, but is open to potentially getting back into coaching. Regardless of where Boyd ends up, this much is certain: he rediscovered his love of the game in 2018 and ended his career the way he wanted. How many players simply take the field for pure love of the game? “I came here and have one more fun summer and end it on a good note,” Boyd said. It’s safe to say that he did.